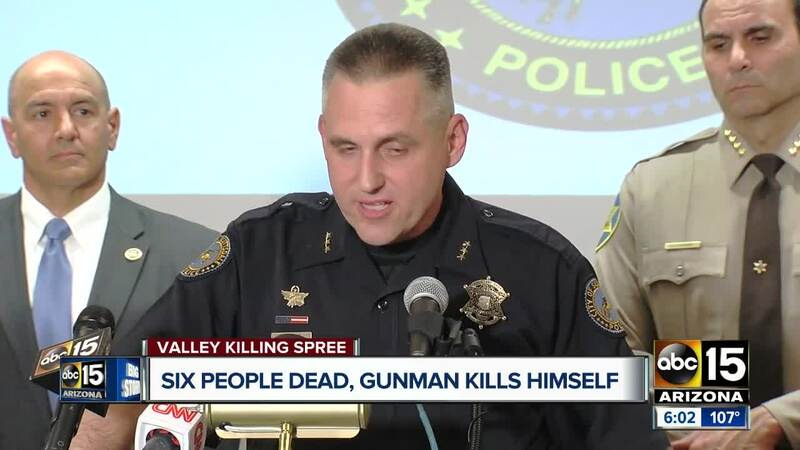 As police closed in, a man suspected of shooting and killing six people in the Valley turned a gun on himself Monday, and authorities said some of his victims were connected to his divorce case. 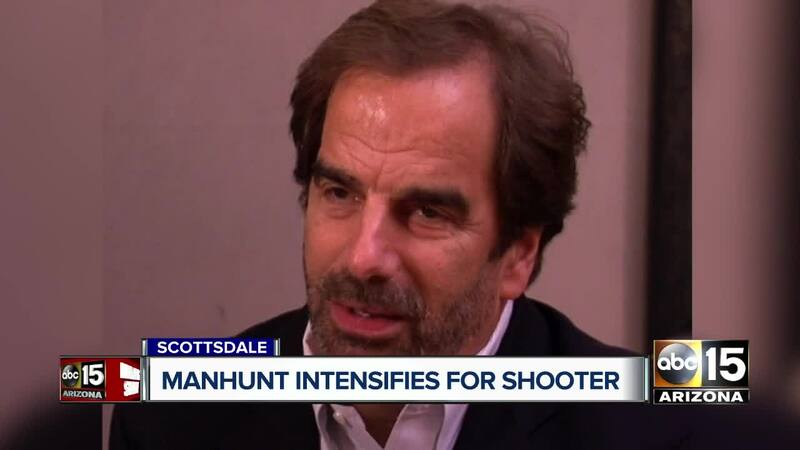 Police say 56-year-old Dwight Lamon Jones is suspected in six murders since Thursday, including prominent forensic psychiatrist Steven Pitt at his Phoenix office on Thursday evening and two paralegals at an Old Town Scottsdale law office on Friday . Police have also connected the Saturday death of a fourth victim , 72-year-old life coach Marshall Levine, to Jones. 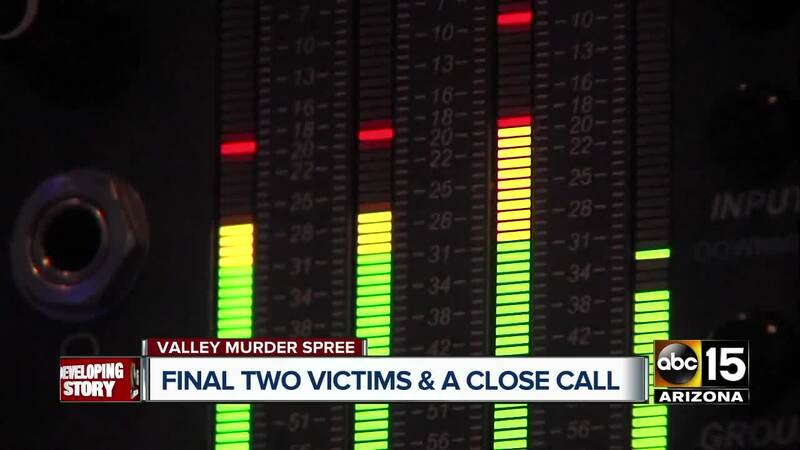 As of Monday afternoon, Scottsdale police confirm that Jones is also suspected of killing a man and woman who were found dead at their Fountain Hills home . Police say a welfare check was done at a home near Golden Eagle Boulevard and Sunridge Drive around 12:20 a.m. Monday. Inside the home police found 70-year-old Mary Simmons and 72-year-old Bryon Thomas both shot and killed. Details on what led to their deaths are unclear at this time. Court records obtained by ABC15 show Jones filed for divorce from his wife in May 2009. 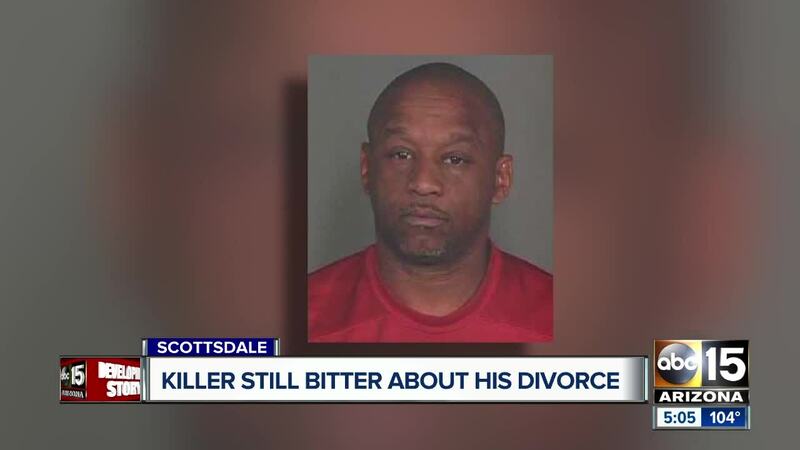 Connie Jones said in a statement Monday that her ex-husband was an emotionally disturbed person, and she has feared for her safety for the past nine years. As a medical professional and a citizen I am deeply saddened by the tragedy caused by my ex-husband. He was a very emotionally disturbed person as the court records will confirm. Personally, I have feared for my safety for the past nine years. I cannot express the emotions I feel for the innocent families touched by this senseless violence. 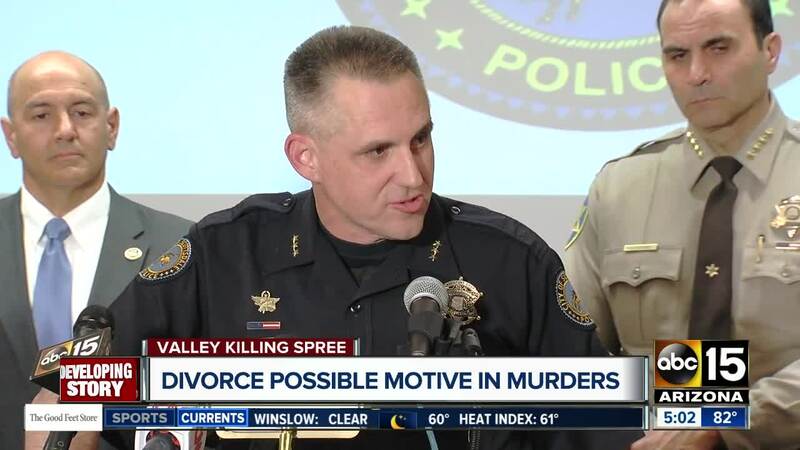 My husband, Richard Anglin (a retired Phoenix police detective), recognized the connection to my divorce and the three crime scenes and he notified the Phoenix Police violent crime unit on Saturday night. 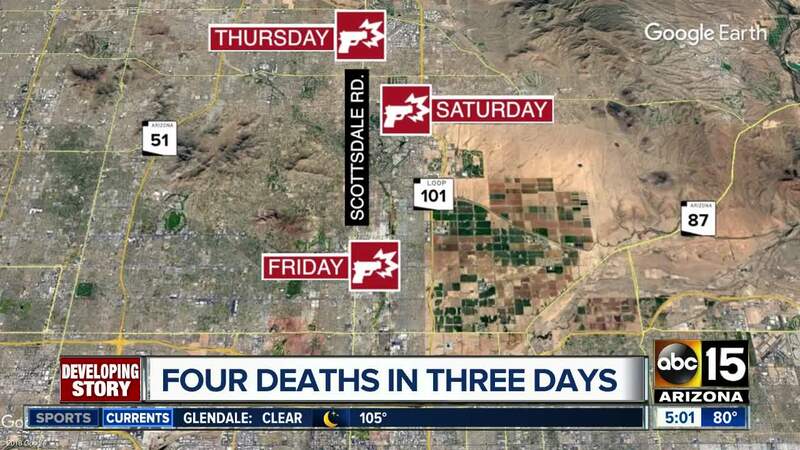 I also contacted the Scottsdale Police Department on Sunday morning.Any reward money collected will be donated to the families of the victims and to Chrysalis, the non-profit agency that helps victims of domestic abuse and violence. Over the next several days, my family will attempt to come to grips with this horrible chain of events. We ask for privacy during this difficult time. As part of the couple's divorce proceeding, Jones was ordered to be evaluated by Pitt, who testified in 2010 that Jones had anxiety and mood disorders. Two other victims, paralegals Veleria Sharp and Laura Anderson, worked for the law firm that represented Jones' wife during the divorce. 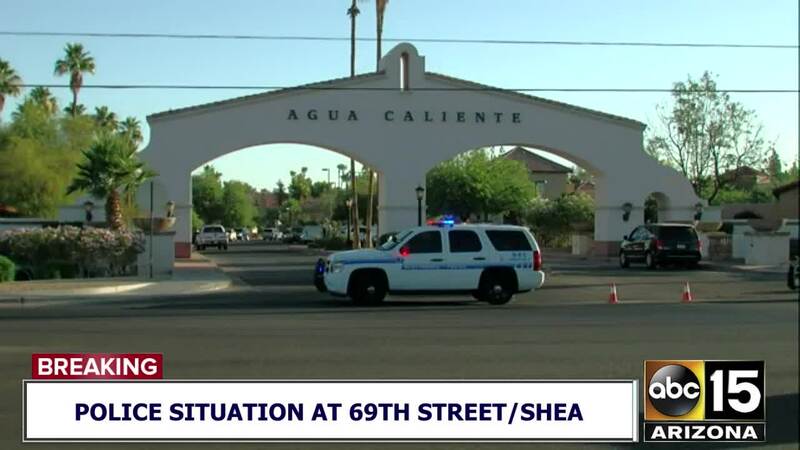 Authorities descended an Extended Stay Hotel near 69th Street and Shea Boulevard around 6 a.m. Monday morning, trying to make contact with Jones. 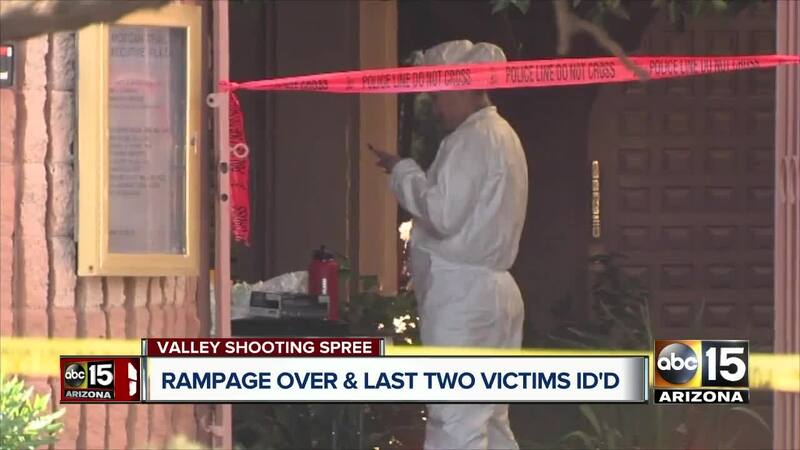 According to police, Phoenix and Scottsdale law enforcement tactical teams were moving in on the 56-year-old's room and evacuating adjacent units when shots were fired inside Jones' room. At some point during the incident, law enforcement gassed the room and sent a robot in. Once the robot made entry, it was determined that Jones died from a self-inflicted gunshot wound. 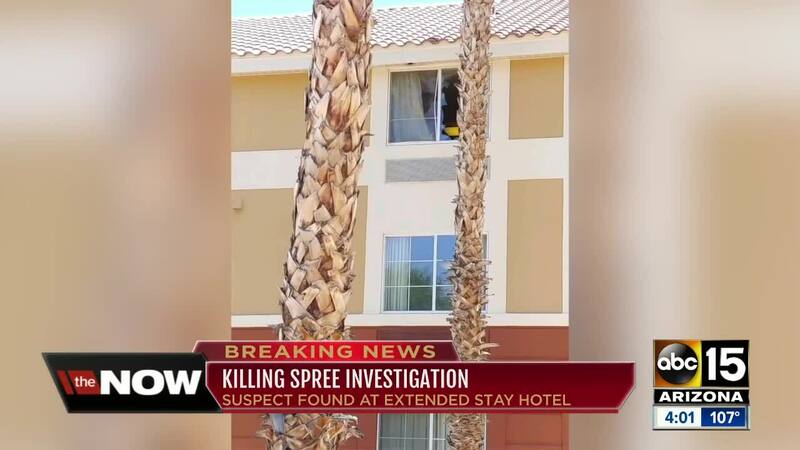 "Stepping out into the hallway all the teargas.. you could literally smell it and taste it.. there was like 15 empty canisters outside of the broken window," said Chris Perez, who's been a resident at the extended stay for three months. 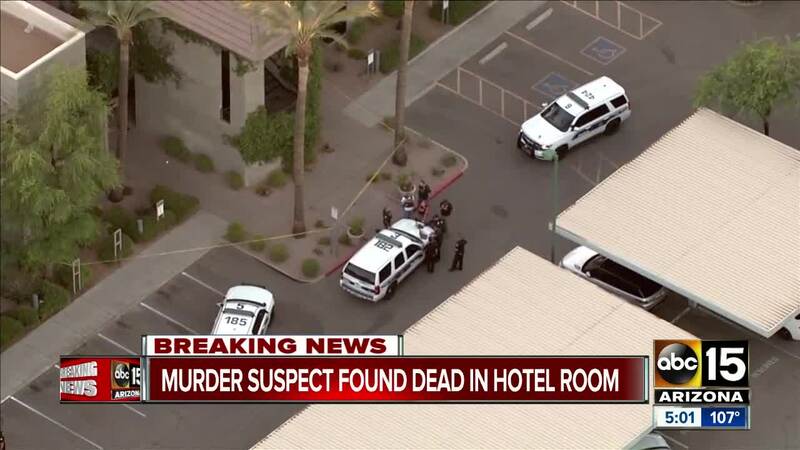 Scottsdale police said Jones had reportedly been staying at the hotel for about nine years. Authorities say no officers fired shots during Monday's incident and no other injuries were reported. "It's crazy especially here in Scottsdale, you'd think you know you're in Scottsdale you wouldn't have as much crime. We actually moved from Tucson, that was like the normal down there, up here it's not," Perez said. 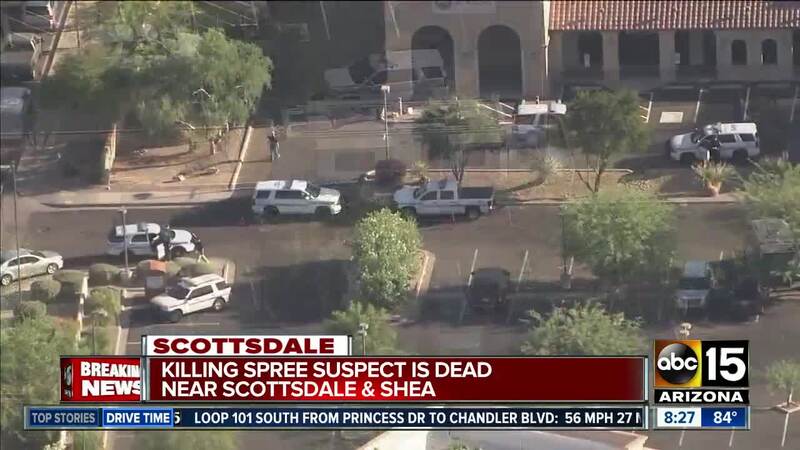 According to Scottsdale police, ballistic evidence has connected the homicides, and DNA on shell casings connected Jones to the weapon as well. Steve Pitt’s family would like to thank the Phoenix and Scottsdale police, the FBI, ATF and others for their devotion to this case. We are also not the only ones grieving. Our hearts go out to the families of Veleria Sharp, Laura Anderson and Marshall Levine. 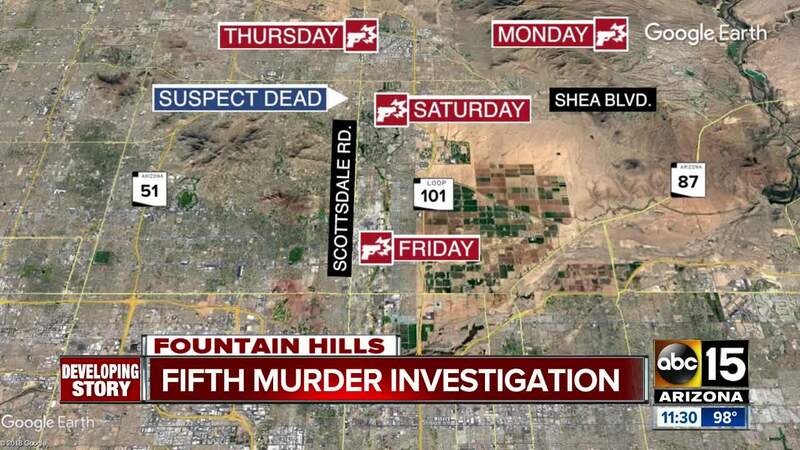 Stay with ABC15 for more on this developing story.